Trolling Jim Acosta via Twitter, President Trump punked the fake news artist like a boss while Acosta proved that walls work! So, Jim Acosta, following President Trump, as is his habit, showed up on the border near McAllen, Texas, and immediately commenced producing a standard CNN anti-Trump propaganda video. CNN’s White House fake news correspondent engineered his Trump hit piece with the intention of convincing his seventeen viewers, all trapped in airports and tire repair shops without remotes, that there is no massive illegal immigration problem in McAllen. As the fake news artist walked along the same sort of steel slat wall that President Trump is proposing, he continued to point out that there is no illegal immigration problem, completely clueless that he was making President Trump’s case for him, that walls work. It took tweeters no time to jump on Acosta’s video, declaring that he had made the President’s argument for a border wall even better than the President himself could have. 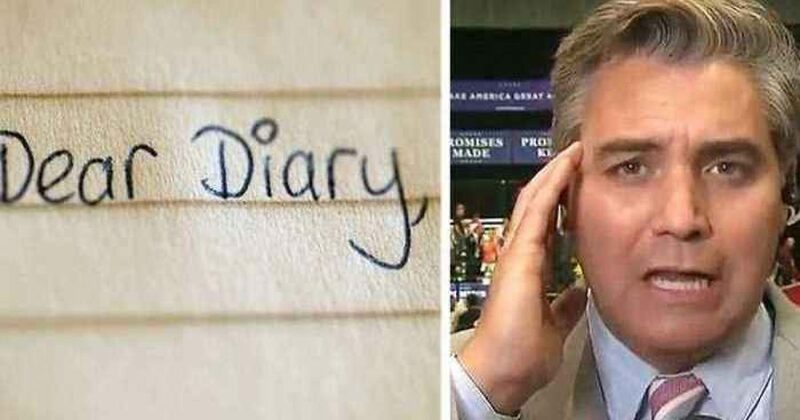 President Trump added his own “Dear Diary” remark, pointing out that all Acosta does is whine. No one said he’s smart..loves to see himself a lot tho’. Poor Jim Acosta. He hasn't had an original idea since he discovered masturbation. So, what you are saying is the wall works. Awesome, let’s move forward!